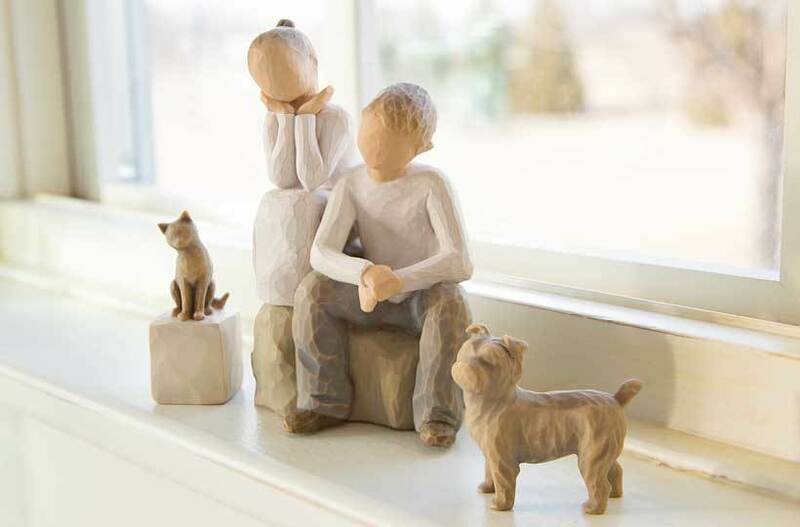 Carved bas-relief plaques are expressions of friendship, kindness and love of pets. Displaying several plaques of similar size and sentiment together makes an engaging statement. Especially nice for a pet owner! Each plaque is cast from Susan's original hand-carved bas relief depicting a loving relationship or sentiment. The same-size square plaques Comfort, True and Hug create a sweet grouping in a child’s room. All plaques have key-hole openings on the back so that they can hang flush against the wall. Or, they can be displayed on the custom-designed Willow Tree Plaque Stand.